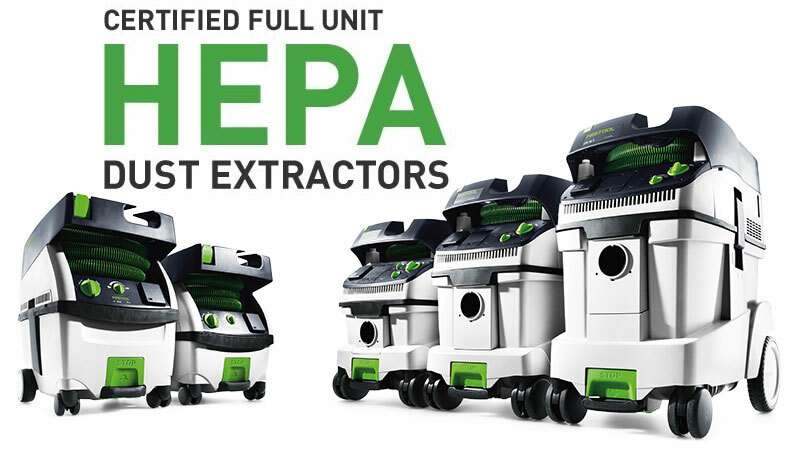 The world’s best dust extractors just got better. Available now. 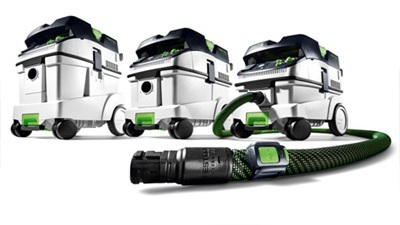 Interested in the Festool line? Contact us HERE. 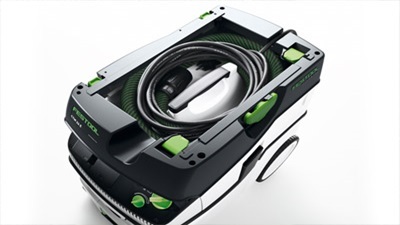 We are able to order any item in the complete Festool line. 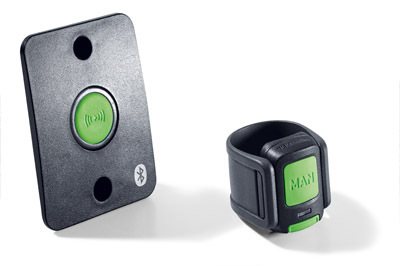 Protects suction hose and mains power cable from damage. 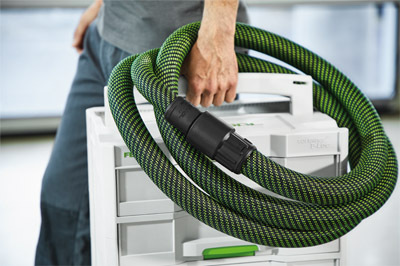 “Parking” the suction hose in the hose holder guarantees compact, clean transportation. 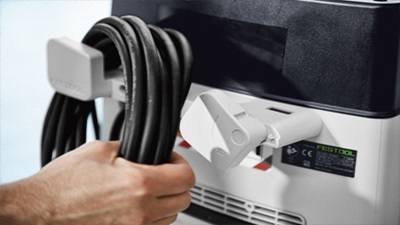 The combination of the Bluetooth module on your CT Dust Extractor and the remote control on the suction hose saves you from having to go over to the dust extractor. Simple start the dust extractor from the hose using the remote control. 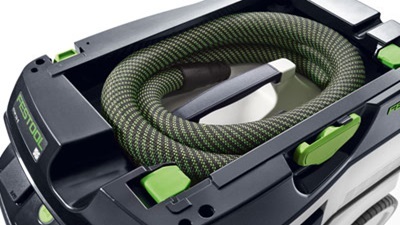 This is ideal for occasional cleanup jobs. 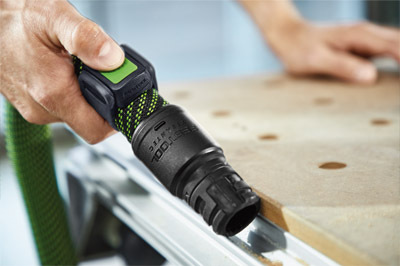 Additionally, when used with the Bluetooth battery packs, the Bluetooth module will start the dust extractor when you switch your cordless tool on. 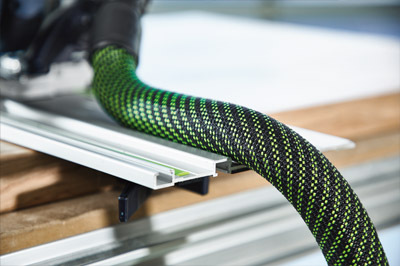 You can now benefit from Festool’s perfectly designed dust-free system when you’re working with Festool cordless products. Because you’d rather spend your time making sawdust instead of cleaning it up. Dust control shouldn’t be an afterthought when it can save you time, increase your efficiency, improve your work, and even create happy and loyal customers. Whether you’re working in the shop or on a jobsite, a good dust extraction system should start removing dust at the source, where it is being created. 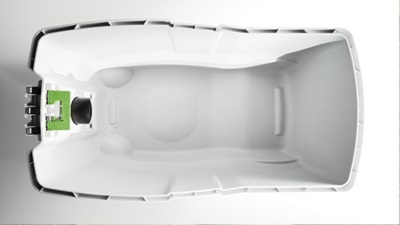 Clean air and fast cleanup are two things that you and your customers can appreciate. One thing is clear, regulations are moving in the direction of requiring contractors use a HEPA dust containment system. 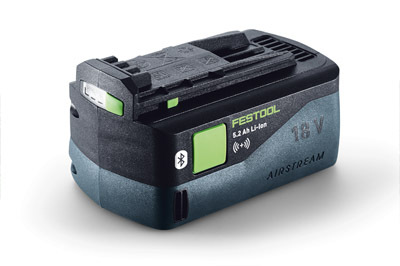 Buy with the confidence of knowing that if you are not completely satisfied with your Festool purchase, you can return it to Benson Lumber for a full, no-questions-asked refund within 30 days. 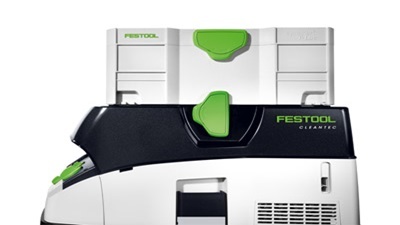 Festool power tools are covered by a comprehensive three-year limited warranty. 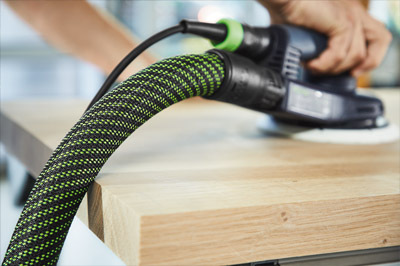 Festool manufactures its power tools at its facilities in Germany to ensure the highest level of quality. Your only regret may be that you didn’t buy one sooner.